People, calm down! This post was about the fact that Kimmundi stopped being community developer for Duel of Champions, not Heroes VII Please, read carefully and do not spread panic. Read again. His contract with Ubisoft ends, which means that he'll quit altogether. At least I understood it so. Now where did Pawek's post go? Oh well, good luck with your next quest Kimmundi! Edited by dark-whisperer at 00:32, 09 Dec 2014. "I am leaving Ubisoft as a whole as my contract is reaching its end." Kimmundi is not leaving just DoC, he is leaving UBISoft and with that Heroes too. this Haven lineup stood out to me as incredibly predictable and redundant. Every tier has a unit with a sword and virtually the same armor. And the difference between the Champion and Core/Elite? Size (similar to the Thane, though not as hypocritical). The other Champion (angel) is almost the same type of unit, but with TWO swords lol. I like the Wolf in the Haven lineup and hope it's close to as large as it appears in the artwork. Other than that the Haven lineup is really lacking any originality to me. To be fair, you're wrong on all tiers having someone with a sword as no one uses it on the first tier: spear, crossbow (and little dagger for melee) and claws and fangs. Then on elite tier you got 1 sword user (in this case what I don't like is that it is another shield unit, I would've liked it more if it was dual wielding sword and mace given how it focus on extra attacks and punishment). The others wield a staff and cavalry lance and shield (again a shield, making the guardian shield even more redundant). Then the champion unit sword, it's a greatsword, which really even if it looks like a big sword, has different uses than a one handed sword. The seraph unit dual wields swords but I guess in this case the focus is more on the mythical creature than the weapons. I think that if the guardian had a mace or flail instead of the shield it would've been great. And I hope the wolf isn't THAT big, I mean... it's bigger than the horse and the knight combined! Wasn't it a tier1 unit? Hey guys. 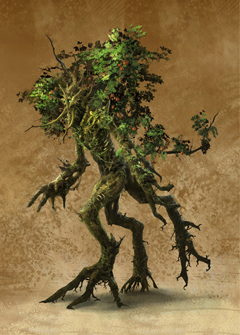 I just thought of a really good set of skills for Sylvan units. 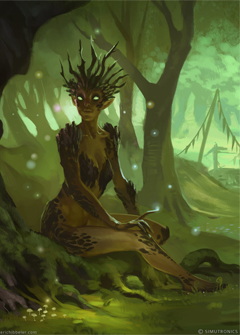 I am hoping they will change the Dryads to Lynxes, Deers to Unicorns and Treants to Green Phoenix though. Treants will still be available. They'll be catapult units throwing rocks. elf archers are the most accurate in the world. They can hit even the tiniest creatures. 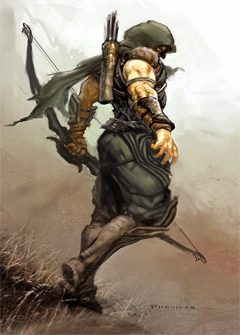 It�s very rare for an elf archer to miss his target. They attack twice per turn. When they turn to hunters, their arrows have a slight chance to stun targets. Lynx are the fastest creature in the Sylvan army in terms of movement speed. They do good damage and has decent initiative. Like many small Sylvan creature, they�re fragile though. Lynx also has the ability to see any hidden creature within 5x5 range. Lynxes are faster on grassland and forest terrain. They move slower on desert and lava terrains. 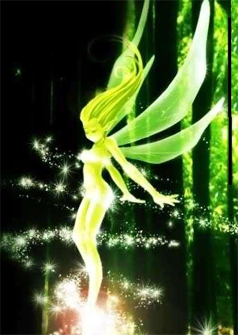 Pixies and Sprites are the smallest and weakest in the Sylvan army but that doesn�t mean they�re useless. For starters, they�re too small that retaliation is impossible. 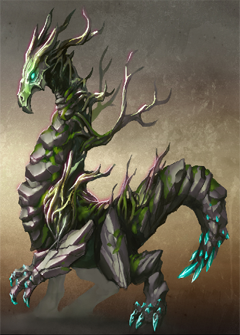 They can use nature�s power to heal their allies and remove any poison debuff in the process. This has a 4-turn cooldown. Anyone who has fought with Blade Dancers are left with the trauma of fighting them again. 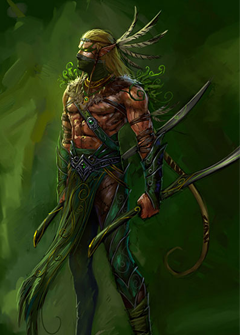 Blade Dancers rely on speed, damage and their martial arts. They are fast but fragile. If you�re fighting against an elf army, you must go for the Blade Dancers first because they can do serious damage to your stacks. He can attack multiple targets surrounding him. When he becomes a Wind Dancer; his superior fighting skills will give him a 50% chance to counter any attack that�s not from behind. The counter damage is 50% their normal damage. Due to their reliance on the wind, Blade Dancers will move faster in grassland or forest terrains but slower on lava and swamp terrains. 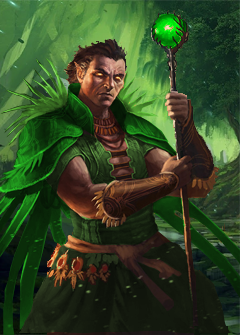 Being one with nature, Druids has the ability to cast a variety of nature-based spells . Druids can cast powerful lightning spells to hurt their foes. They also have entangling spell. Elder Druids can turn the whole battlefield into a vineyard reducing movement speed to all non-fliers/non-teleporters. Entangle and Vineyard Battlefield can only be cast in forest or grassland terrains. 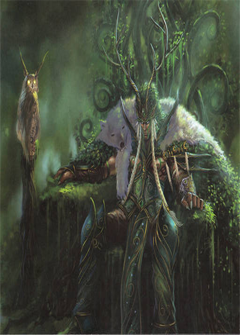 Druid�s normal attack is also stronger in forest terrains. 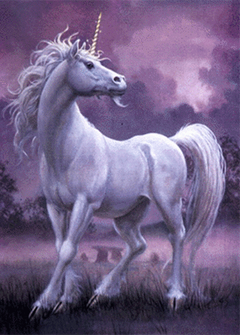 Unicorns are the first Sylvan unit that�s not too fragile. They have the ability to reduce magical spell damage to allies around them. Rainbow Unicorns has the blinding attack. Unicorns are faster in forest terrains but slower in lava terrains. 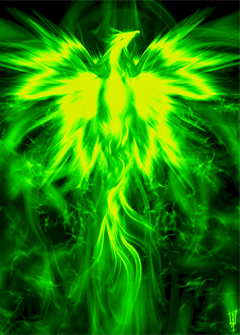 Green Phoenix are rare even for phoenix standard. Their chemical composition will prevent them from burning trees. Green Phoenixes has a very slow growth rate. There�s only 1 in 2 weeks. They are not the most powerful unit in Ashan however. The reason why one should get them is because they can turn the whole battlefield into a forest giving the Sylvan units benefits but one of them has to maintain it so that phoenix will have to sit out a battle but that phoenix can be killed. Like any other phoenix, anyone who attacks them will receive damage. They can also resurrect themselves ones in battle. Unlike other dragons, Earth Dragons can�t fly. They are heavy and they�re made of rocks, which makes them perfect for tanking. They have the enraged ability. They are immune to earth spells and they have corrosive breath. Their initiative is moderate (unlike H5 Treants). Whats the point in this topic? The Sylvan lineup has already been decided through community votes, deal with it. Wishful thinking isn't going to change anything about it. I'm baffled to see a lot of people have not yet accepted sylvan line-up, and are shouting to redo the votes and stuff. I guess it's all because of unicorn, that didn't make it. I too did not vote for this line-up. My vote was (if you're curious) strenght of the forest, which was the first to be out. But i respect the decision others have choosen. Rather than moping or raging, I decided to embrace the new sylvan, and see the good things it offers. Yes im even eager to see this faction in game and i even think im gonna try them on my first H7 game when it comes out. Regarding Unicorn vs Moon doe - these two creatures to me seem perfectly interchangable. I mean - look at Heaven, which got Griffin replaced with wolf - now that's a downgrade. But is it bad? NO. Far from it in fact. I like new Heaven. it's funny to see people bashing on moon doe and at the same time claiming unicorn is so much cooler. That's like if someone would say my litle pony is much cooler than bambi - i mean c'mon! Regarding Unicorn vs Moon doe - these two creatures to me seem perfectly interchangable. One's from myths, the other is a spray-painted animal. oh no, that lineup is not meant to change the original lineup. It's meant to give ideas on the skills of most of the Sylvan units. Edited by Galaad at 12:13, 09 Dec 2014. Edited by JeremiahEmo at 12:05, 09 Dec 2014. That's beside the point. One's from myths, the other is a spray-painted animal. @Avirosb: Mythological or not, it still dosen't make creature design any superior. Here, Santa's Raindeers are also from legend. They fly by drinking Coca-Cola, which we know makes no sense, since only drinking Red Bull makes you fly. I understand that you want Unicorns instead. And that's fine. But you won't get it. Edited by Galaad at 15:09, 09 Dec 2014. IMO problem with Moon Doe replacing Unicorn is that, it is replacing Unicorn. Unlike Griffin with Haven, Unicorn has always been a part of the Sylvan town, in every single Heroes game made so far (except mmh6 ofc, as the whole faction was missing there). Therefore, Unicorn has an immense iconic value, is tied, bounded to the faction, by at least the lore and nostalgia factors, which are allegedly of the most powerful ones. 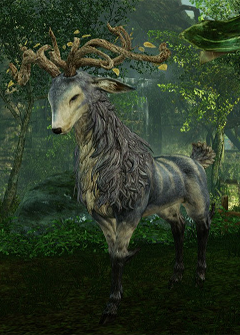 Of course the Deer has no problem fitting in a Sylvan environment (correct me if I'm wrong but I don't think Avirosb implied that it does), is only that it cannot just bump in and replace an acknowledged representative of the faction like that. That' fine, I wasn't going to get this game anyway. I'm just here for the ride. But it's true that I'd prefer unicorns. They have a fancy name. Ubi's original creature - do not steal - names are plain mundane English. Edited by blob2 at 14:57, 09 Dec 2014. 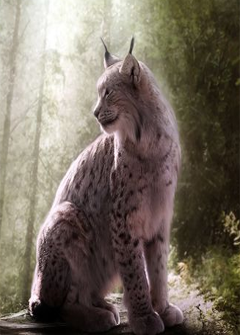 A lynx, although generic (it's a cat with pointy ears and short tail ) would be sth completely fresh in the games (though some can associate them with White Tigers from H4). Green Phoenix would be very controversial, but I already see some nice ideas for it... and maybe some Phoenix fans would be appeased. Well, there is a thread for that aswell.